Carl Zeiss Optical Dialyt Field Spotter 18-45x 65 Spotting S | Spot On! 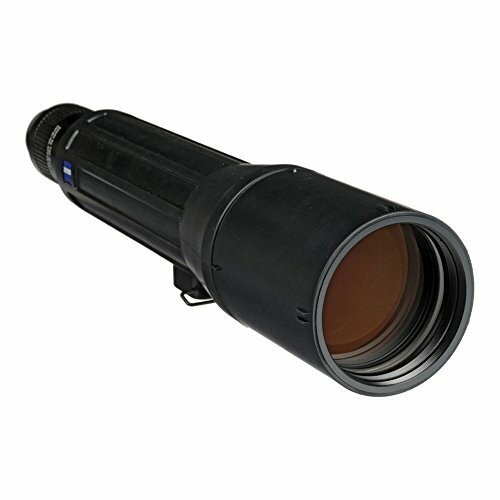 The Dialyt Field Spotter 18-45×65 is an ideal spotting scope for the user on the go. MC multi coatings and high-performance optical lenses generate superior brightness and image resolution, at any magnification and even in low-light conditions. From mountain hunters needing a straight bodied scope that’s also lightweight, to birders and observers that don’t want to carry a full-size spotting scope, the Dialyt has a wide range of applications. The 18-45x magnification provides flexibility in the field while the objective focus wheel allows for handheld use. A classic rubber armoring adds to the ruggedness and a waterproof housing allows the user to take the Dialyt anywhere and not worry about lenses fogging up. All of this is backed by the ZEISS Limited Lifetime Transferable Warranty.